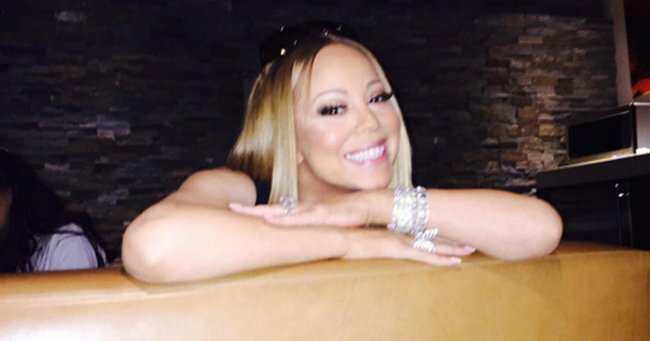 Mariah Carey's new TV show is not a reality series, thank you very much! It's a serious doco. Whatever you do, don’t call Mariah Carey’s new show a reality series. The show started filming her every move two weeks ago, but don’t go assuming Carey’s show will be anything like her network mates the Kardashians’ series. This is a serious documentary, you guys. “I refuse to call it a reality show,” she told The New York Times. It’s about the real Mariah, she says, not, for example, “Here I am, getting my nails done,” she explained. I get it. Totally different. Although it is being produced by exactly the same team behind I Am Cait, Keeping Up with the Kardashians, and the genre’s progenitor MTV’s The Real World. The Elusive Chanteuse will become even less elusive than ever before when the new eight-part documentary series, Mariah’s World, airs on the E! network. If James Packer doesn’t appear, it means we won’t have to see this kind of display. Image via Instagram. According to The New York Times, the show, which doesn’t yet have an air date, follows Mariah Carey, 45, as she goes on tour through Europe and South Africa, as well as the planning and execution of her wedding to our very own casino-building billionaire James Packer, 48. The Times reports that Carey stressed she has veto power over any material she doesn’t want broadcast, meaning this is likely to be a very flattering view of the noted diva. The show is not just about James Packer’s dreamlover, though, it’ll also feature her manager, back-up singers and tour dancers. Her four-year-old twins Monroe and Moroccan will likely not appear, and unfortunately, we won’t be hearing the dulcet tones of Packer on the show either. “He’s a legit businessman,” she said, by way of explanation. Carey’s only other foray into the world of reality was an episode of MTV Cribs that she did back in 2002 that was so peak Mariah it’s now reach cult status. Watch… post continues after video. And here’s another reason this show could turn out to be pure gold. “She cannot speak the day before a performance,” Jeff Olde, E!’s executive vice president for program development, told the Times. I’m so there. Are you?